I can’t believe summer is already over . We’ve had some lovely trips in our campervan in England and France over the summer. I took knitting and spinning projects with me, but didn’t really spend much time on them. 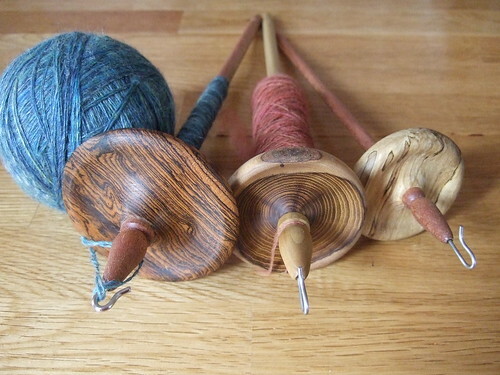 I have however acquired quite a few new spindles over the past few months (see above). The yarn is a 2 ply yarn spindle spun from some Corridale top my sister bought me last Christmas. I’m really pleased with the colour transition. During one of our summer camping trips I managed to pick up a bag of washed Jacob fleece. It’s the first time I’ve ever bought unprocessed fibre and it’s been sitting in my fibre basket for the last few months waiting for me to get around to buying some carders. I decided to go for mini carders from Forest Fibres (great service by the way). At first I didn’t have a clue what I was doing, but after consulting some of my spinning books along with some very helpful videos on youtube, I managed to produce some fairly decent rolags. Here’s one from my second batch. 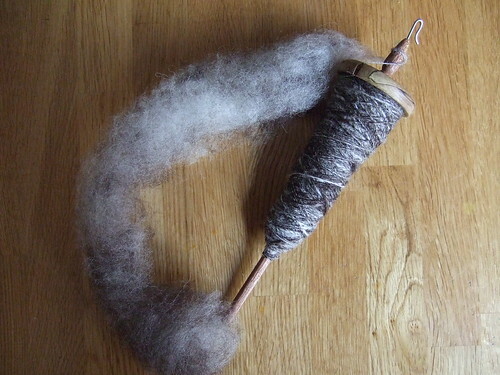 I actually find carding quite satisfying, and I really enjoy spinning from rolags. I’ve got a couple of ideas for new crochet designs. These will be for handspun yarn – I need to spin the yarn first before working on the patterns, so they might not be ready for some time! I can’t wait for a pattern for handspun. I don’t spin myself but I have some handspun in my stash made by other very clever ladies. 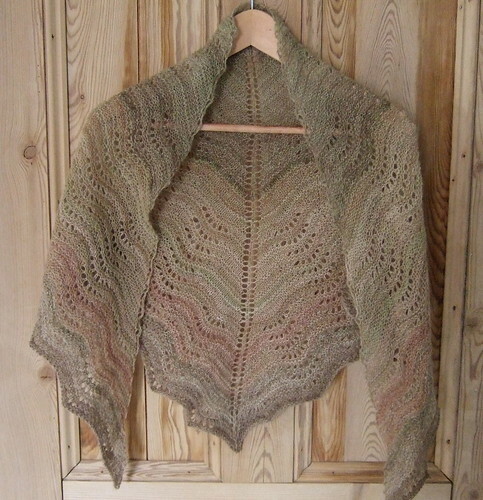 The feather and fan shawl is gorgeous also. I think I have made all of your patterns so far so can’t wait for a new one. your feather and fan shawl is so elegant and lovely and yet also homey. it’s gorgeous!